There’s no middle ground at the Iron Bowl. Alabama fans will be sporting crimson, white and houndstooth, while the Auburn faithful will be decked out in orange and blue. People yell either “Roll Tide” or “War Eagle.” And, for this weekend at least, even the most devoted family members and friends tend to snarl at each other if they’re on opposing sides. But all of us have one thing in common: we still have to eat. It’s been two years since the Tide last hosted the Tigers in Tuscaloosa. If you’re going to the Nov. 24 game, you’ll want to check out some new restaurants and maybe revisit some old favorites. Contrary to urban legend, Auburn fans will be welcome at T-Town eateries. But a word to the wise: it’s probably a good idea not to say anything like “Kick Six” too loudly, lest the forbidden lyrics to a certain stadium song get trotted out again. For more information, visit ajiansushi.com or follow the restaurant on social media. Former UA quarterback A.J. McCarron’s fast-casual restaurant serves sushi in a hurry. You can customize your rolls by choosing white or brown rice, a nori (seaweed) or soy wrap, a protein and other ingredients, a sauce and a topping. Diners also can opt for one of the eatery’s “suggested rolls,” such as the Boston Roll with your choice of rice, a seaweed wrap, poached shrimp, avocado, cucumber with spicy mayonnaise and sesame seeds. Insider tip: Be brave and create your own roll. With protein choices like tuna, salmon, and tempura shrimp and sauces like the wasabi mayo and sweet chili, it’s hard to go wrong. 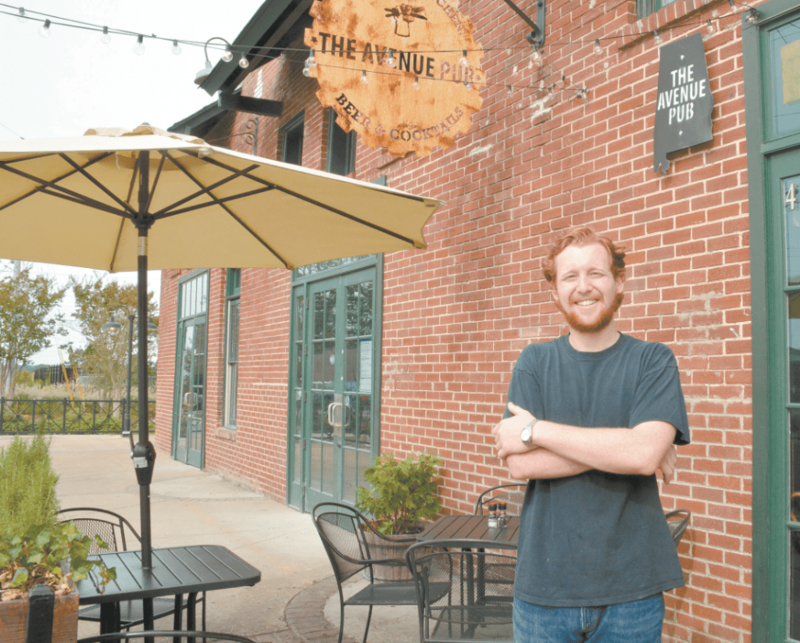 Will Earle, an Oak Mountain High School graduate, works at The Avenue Pub. Journal photos by Jordan Wald. For more information, visit avepub.com or follow the restaurant on social media. This popular spot has been around for a few years, but it’s worth a revisit or a first-time trip. Owner Craig Williams calls the Avenue Pub an “American kitchen,” and its food is delicious and not pretentious. The bacon burger is pretty much legendary in T-Town, but the fish and chips or salmon with Sriracha cream sauce are hard to resist, too. On the lighter side, the spinach salad with grilled chicken, baked goat cheese, red onions, bacon and Dijon vinaigrette won’t leave you feeling deprived. Craft beers are offered, as you might imagine, but don’t overlook the tasty craft cocktails. Insider tip: Get the Thai Nachos – house chips topped with shredded chicken, mozzarella, peanut sauce, Sriracha, sesame seeds and green onions. 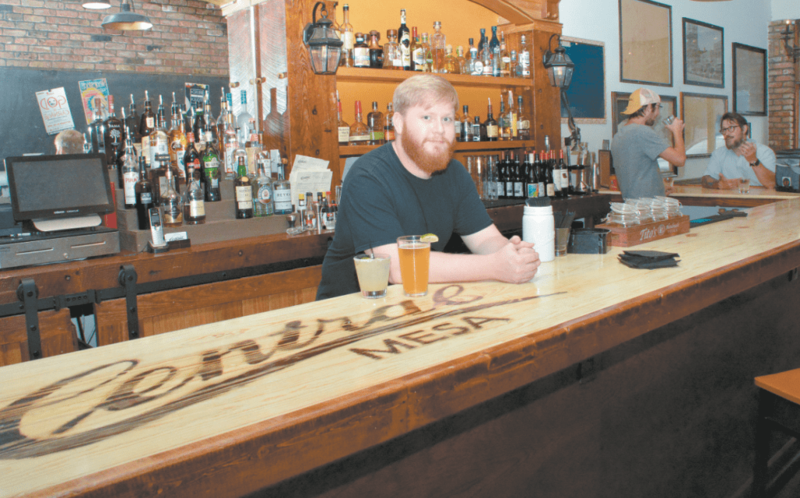 Central Mesa bartender Austin Hogan. For more information, visit eatcentralmesa.com or follow the restaurant on social media. Food at this eatery – also owned by Craig Williams – is Latin-inspired but has a Southern flair. 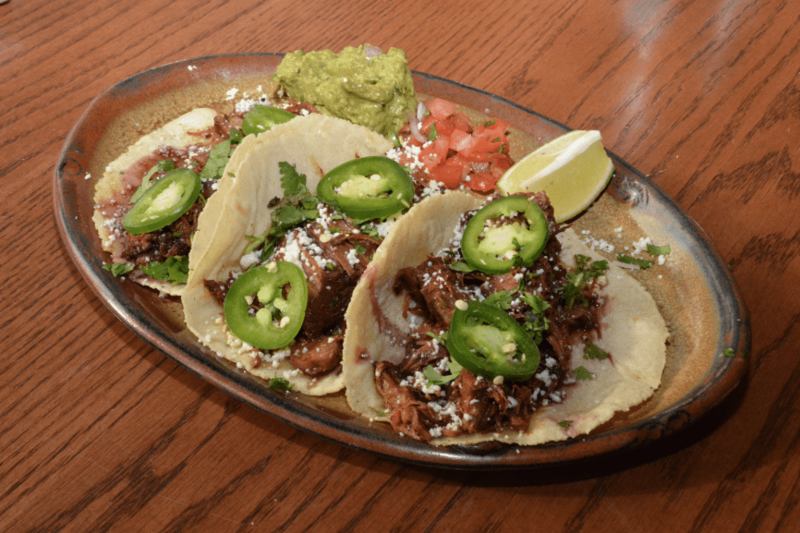 The restaurant has handmade corn tortillas, fresh vegetables and peppers, and a variety of tacos, including carnitas, pork belly, chorizo and hot chicken. You’ll find great guacamole here as well as unexpected dishes including empanadas with Alabama-made Conecuh Sausage and pimento cheese. The Spicy Chicken Tostadas are a local favorite. Central Mesa has a game day special on Saturdays when the Tide is in town: All Alabama-made beers are $3. Insider tip: Don’t leave without trying the Street Corn. It’s a shareable app, but take my word for it; it’s so good you won’t want to share. 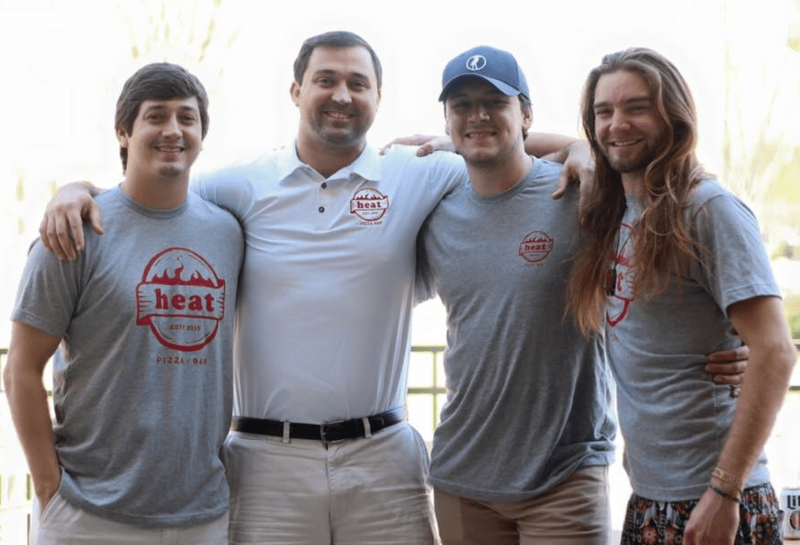 From left, Heat Pizza Bar owners Frank Fleming, Will Fleming, Chris Kontos and chef David Fair. Photo courtesy Heat. For more information, visit heatpizzabar.com or follow the restaurant on social media. 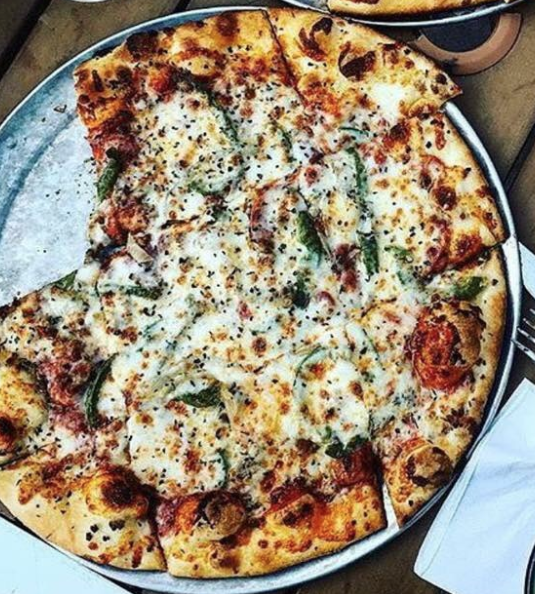 Whether you like your pizzas plain or fancy, Heat is a real hot spot in T-Town. The restaurant is owned by brothers Frank and Will Fleming and their business partner, Chris Kontos. All three are Spain Park High School graduates, and the Flemings are University of Alabama alumni. David Fair, the head chef, is a Pelham High School grad. At Heat, artisan pizzas are divided into three categories. Traditional options include the Perfect Pepperoni, the Margherita, the Meat Lovers and the Veggie Delight. On the Specialty list are Chicken Bacon Ranch and the Greek, with a balsamic vinaigrette base, house-baked chicken, red onions, grape tomatoes, green bell peppers, Kalamata olives, banana peppers, mozzarella and feta cheese. And if you want to get an Exclusive pizza, you can go for the Thai Chicken, Buffalo Chicken or Spinach and Artichoke. Heat’s salads range from simple to swanky, too. Besides Garden, Caesar and Wedge salads, there’s a Spicy Kale Cobb and the BBQ, with iceberg lettuce, sweet onions, diced Roma tomatoes, jalapenos and house-made barbecue sauce. On the bar menu are beer, wine and intriguing cocktails such as the Gold Rush with bourbon, agave nectar and lemon juice and the Pomegranate Julep, with bourbon, pomegranate liqueur, fresh mint leaves and served with chewable ice. Heat has a spacious patio facing the Government Plaza Park. There’s a free parking deck behind the restaurant; access it from Seventh Street. Insider tip: For a decidedly different pizza, choose the Reuben, with a Thousand Island base, corned beef, diced pickles, sauerkraut and Swiss cheese. And save room for dessert – ice cream sandwiches made with G Momma butterscotch oatmeal cookies and Mayfield vanilla ice cream. For more information, visit worldofbeer.com or follow the tavern on social media. As one might expect, there are lots and lots of beers to choose from here. Go for Alabama favorites such as Back Forty, Fairhope or Trim Tab, or venture out into international waters with brews from around the globe. If you roll into town on Friday, happy hour specials, including $3 and $4 drafts and $5 spirits, are offered from 3 p.m. to 7 p.m. Pub grub includes street tacos, sliders, flatbread and mac-and-cheese bites. Insider tip: The great big German pretzel that’s billed to be “as big as your head” really is. It comes with stone ground mustard, but splurge and add the brown ale beer cheese. 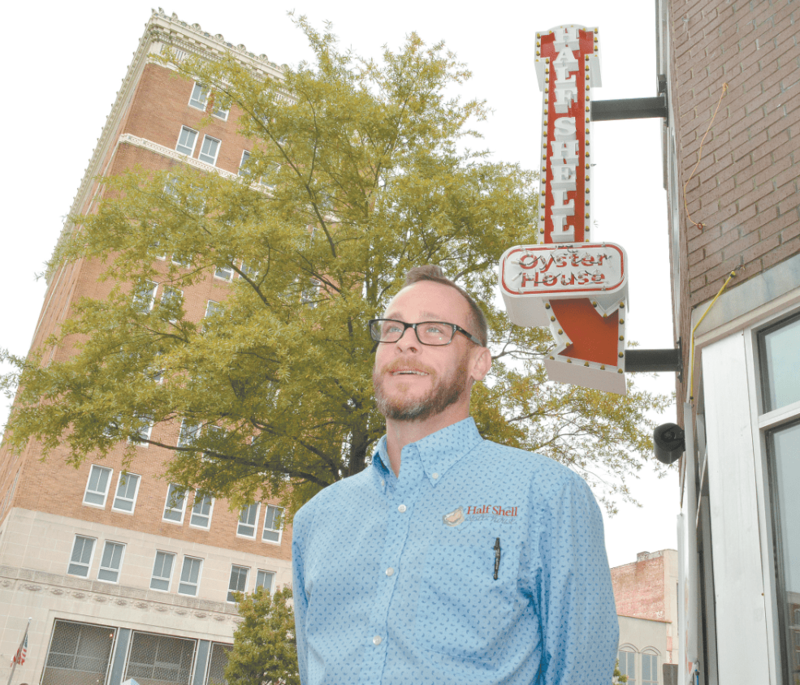 Half Shell Oyster House general manager Will Turner. For more information, visit halfshelloysterhouse.com or follow the restaurant on social media. This Mississippi-based restaurant opened in Tuscaloosa in September and already is drawing a crowd. 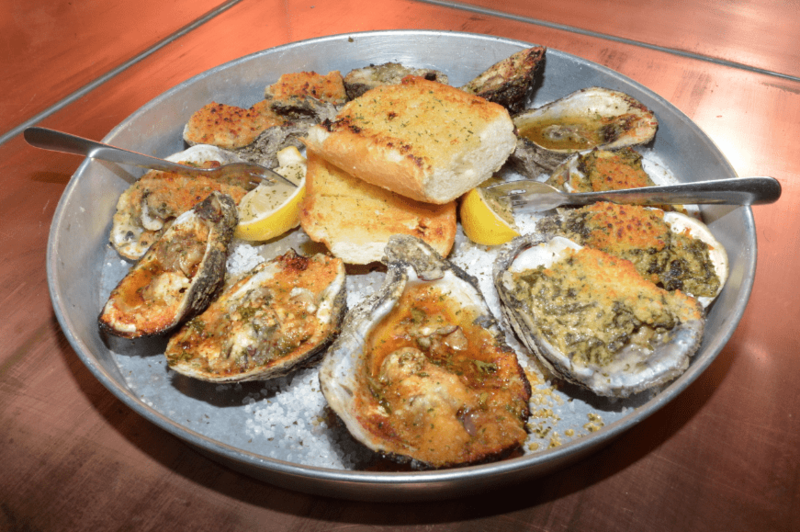 Its signature dish is charbroiled oysters, which join oysters Rockefeller, Bienville and Orleans on the Oyster Sampler platter. Non-oyster lovers can try the shrimp and grits, seafood pasta, seafood-stuffed Portobello mushrooms and seafood pot pie, plus steaks and chicken dishes. The restaurant, in the historic Brown’s Corner building at the intersection of University Boulevard and Greensboro Avenue, has a French Quarter vibe and serves favorite New Orleans drinks such as Hurricanes. Company officials said Birmingham soon will be getting its own Half Shell Oyster House, likely in Avondale. Insider tip: The crème brûlée sweet potato side dish is so yummy it could double as dessert. For more information, follow Cravings on social media. You’ll have fun exploring Cravings, a specialty food store with a deli that serves New York-style fare such as bagels as well as quiches and Cajun dishes. There’s an extensive selection of craft beer and wine. Kids will love exploring the candy display, which has everything from specialty chocolate bars to candied crickets. Insider tip: Two words – lobster roll. For more information, visit dotsonsburgerspot.wordpress.com or follow the restaurant on social media. 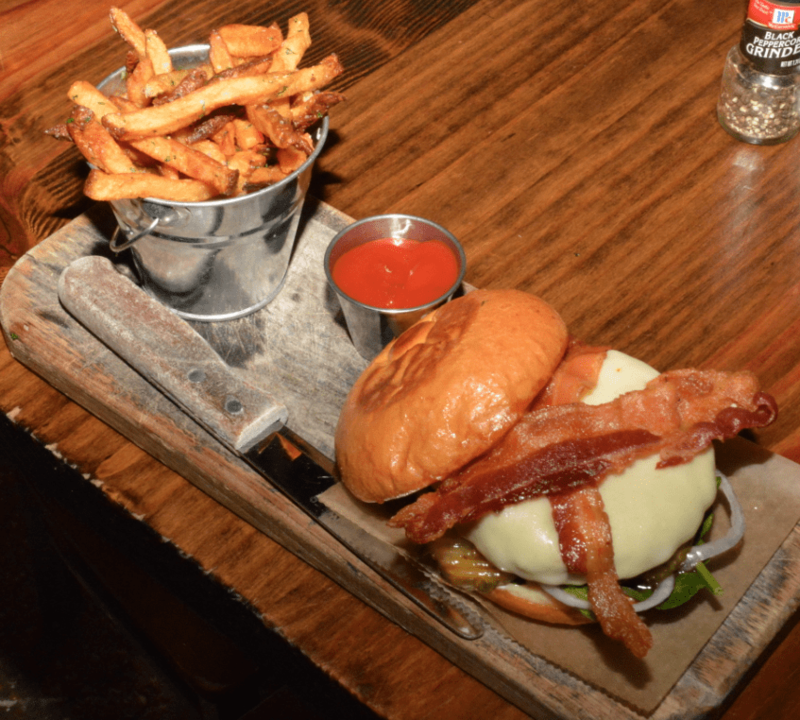 Dotson’s, in Tuscaloosa’s Temerson Square, combines a retro vibe with a modern take on burgers. The menu includes the ’53 Chevy with a Wagyu beef patty and marble blue cheese as well as the Texas Tom, a ground chuck-chorizo blend with cheddar cheese, fried onions, bacon, pickled jalapenos and barbecue sauce on Texas toast. Add some Buffalo Tots or Loaded Fries if you’re not counting calories. If you are, opt for the Far East, a Wagyu patty with kimchi slaw and Thai barbecue sauce on a sushi rice cake. Insider tip: Dotson’s has specialty milkshakes just for adults. The Salted Caramel has bourbon and salted caramel ice cream topped with whipped cream, chocolate and caramel sauce. There are chocolate, with Kahlua, Bailey’s Irish Cream and dark rum, and peanut butter, with whipped vodka and chunks of Reese’s Cups, versions, too. Nonalcoholic shakes also are available. For more information, follow Babe’s on social media. Stop by this corner shop to check out the doughnut flavors it’s offering that day – and cross your fingers that the maple-bacon version is on the list. The red velvet’s a good choice, too, and kids will love seeing Cookie Monster and Elmo in doughnut form. If you want a savory something, try the honey chicken biscuits – and don’t forget the coffee to go with it. One warning: go early so you won’t be disappointed. Insider tip: It’s hard to resist the doughnuts, but the apple fritters and cinnamon braids more than hold their own in the taste department. 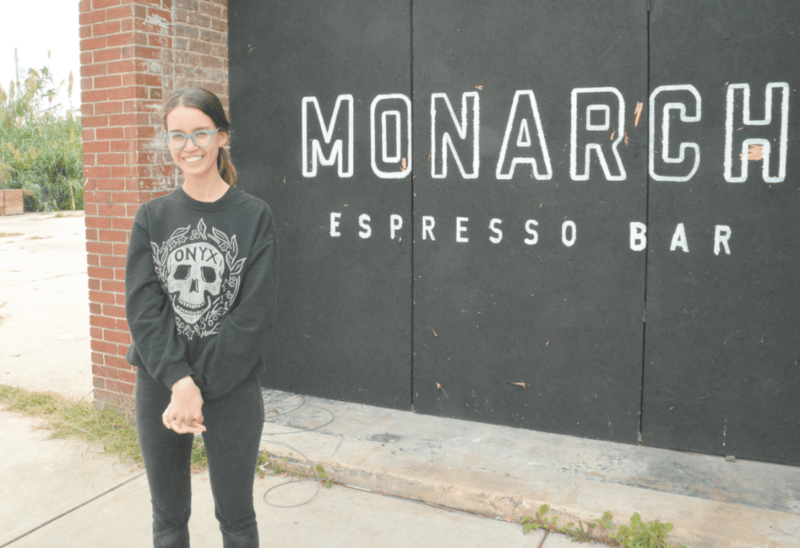 Monarch Espresso Bar owner Audrey Vermilyea is a Briarwood Christian School grad. For more information, visit monarchespresso.com or follow Monarch on social media. Refuel for the game at this craft coffee shop that offers pour overs, drip coffees, espressos, teas and specialty drinks. It’s a downtown spot with an uptown vibe. 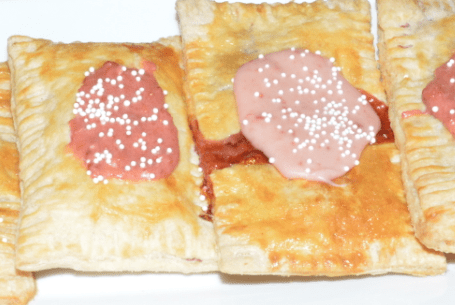 If you’re hungry as well as thirsty, try the toasts and house-made treats, such as traditional and paleo cookies, homemade pop tarts or pumpkin bars with torched meringue. Owners Audrey and Paul Vermilyea are both UA grads. Audrey went to Briarwood Christian School, and Paul is from Monroeville. They helped get their cool little coffee venue off the ground by funding it through Kickstarter. Look for seasonal specials at Monarch. The fall menu has the Fireside Latte with clove, orange, ginger and star anise. You can add rum for an additional charge. The Shaken Lavender Matcha has Maiden Matcha tea, house lavender syrup and honey. And then there’s the Cinnamon Honey Cappuccino; it’s served with chocolate from Chocolata in Birmingham. All three of these drinks can be hot or iced. The shop is dog-friendly, too. Insider tip: Coffee snobs will want to try pour overs from Ethiopia, Peru, Colombia and Honduras. But if you’re in the mood for something different, get the Turbo Lemonade with espresso, lemon and tonic water. For more information, follow Frost Bite on social media. Get rolled ice cream and liquid nitrogen ice cream at this newcomer to downtown T-Town. It has custom-made selections plus rotating combinations. As well as sweet cream dairy ice cream, there’s a dairy-free, vegan coconut milk option too. Insider tip: If you like chocolate – and who doesn’t – the Chocolate Lovers rolled ice cream is an especially sweet treat. For more information, visit uperk.org or follow the coffee shop on social media. UPerk partners with Homewood’s Seeds Coffee to offer pour overs, nitro cold brews, lattes, espressos and mochas. Loose-leaf teas come from Tuscaloosa-based Tea Town Alabama. You can order a signature sandwich or build your own. This friendly community coffee shop is a not-for-profit enterprise that’s connected to First Presbyterian Church of Tuscaloosa and its college ministry. Insider tip: Food options change, but it’s a happy day when the honey pear ham sandwich with smoked gouda cheese and arugula is on the menu. For more information, visit eatlocalroots.com or follow both trucks on social media. Get meals on wheels at two Tuscaloosa food trucks that have the same owner but very different – and changing – menus. Local Roots typically has great burgers and fries, sandwiches and other easy-to-eat dishes that are all made with fresh ingredients. Find it on the UA Quad on game day. Little Poblano’s Mexican food includes tacos, tamales, red rice and black beans. Look for that truck at the Walk of Champions at Bryant-Denny Stadium. Check out the website to see what’s on both trucks’ menus and for information on tailgate catering. If you need catering info in a hurry, email info@eatlocalroots.com or call 205-650-4050. Several Birmingham establishments also are downtown T-Town favorites, too. Find Taco Mama at 2104 University Blvd., and look for O’Henry’s Coffee at 2531 University Blvd., Suite 100. Steel City Pops and Real & Rosemary have separate spaces in the same building, at 2128 University Blvd. R&R has another Tuscaloosa location at 1530 McFarland Blvd. N.